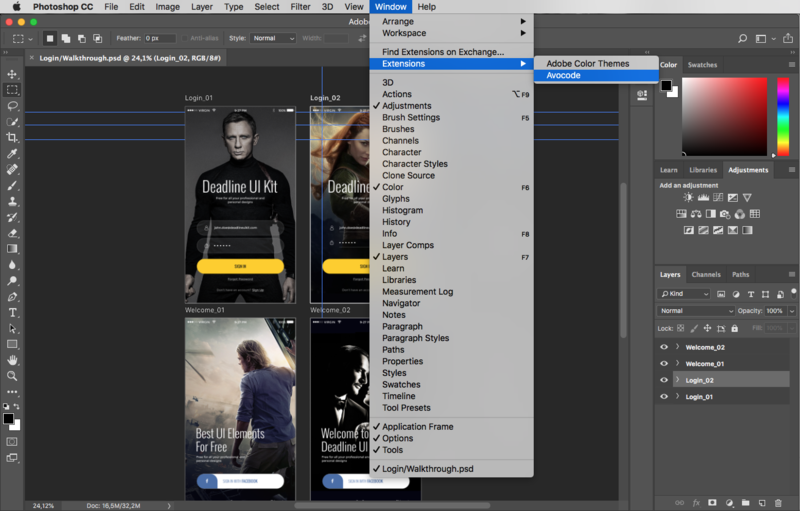 Avocode PS plugin is installed automatically with the desktop app so you can import Photoshop files straight from your favorite design tool. TIP: You can import Photoshop designs to Avocode also directly - just by drag & drop. It works on Windows, Linux, macOS (without Adobe Photoshop app) and even on the web. Learn more. How to set up the Avocode Photoshop plugin (3.0)? Turn off your Adobe Photoshop. Install or update to the latest version (3.4 and higher) of the Avocode desktop app for macOS or Windows. The Avocode PS plugin will be automatically installed with the app. If you had a Photoshop plugin in the past, the new plugin will automatically replace it. How to sync a PSD design from Adobe Photoshop? 1. Open Adobe Photoshop, go to Window/Extensions and click on Avocode. Avocode plugin window will show up. Save the Adobe Photoshop file. Click SYNC NOW in the Avocode plugin. 1. 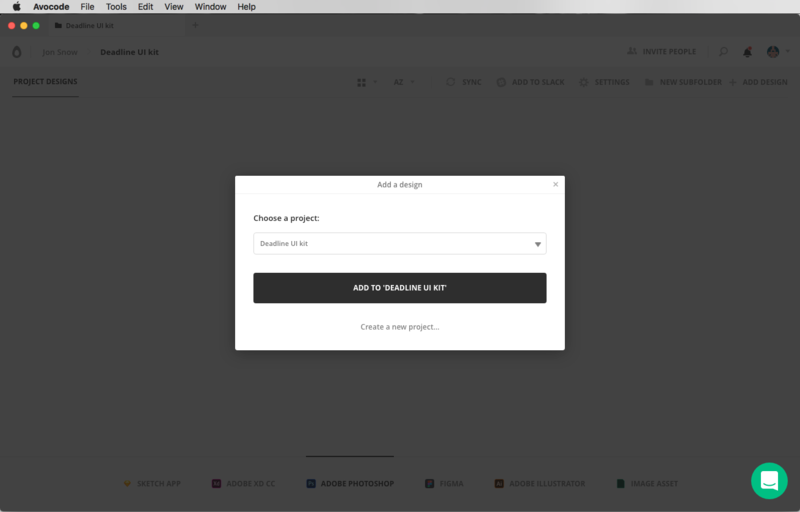 Avocode desktop app will automatically open (even when its turned off) and you will be able to select a Project or a Subfolder where you'd like to import the file. 2. Once the processing and rendering is done you can double-click on the design to open it. 4. 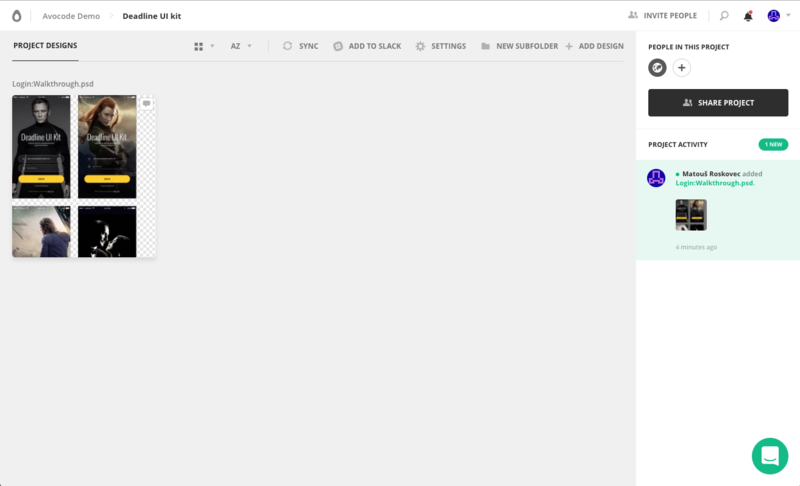 Now you can inspect the design and export assets, specs and code. 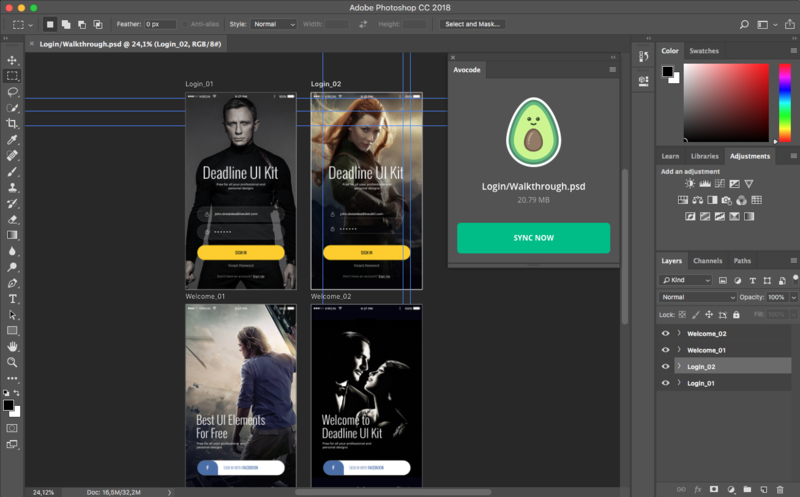 NOTE: Don't close the Avocode app during the design import. In the meantime, the design is also uploaded to you team's account so you and other team members can access it online. How to upload new PSD design versions? Make sure uploaded PSD files are named exactly as they were in the previous version. If the name matches, the PSD will be added as a new version. NOTE: You can only sync the whole PSD file. 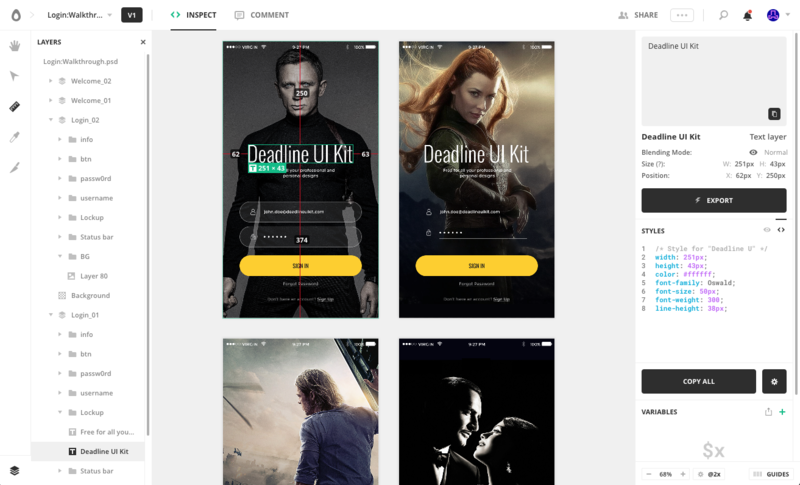 At the moment it is not possible to exclude PSD artboards from sync. If your file is over 500MB we suggest breaking it into smaller files.